When I was a flight attendant, I used to always wear these single short individual eyelashes. What I liked abut them was that they would fall off so easily without taking my natural eyelashes out with them. So part of my daily makeup routine was replacing them just as if I was putting on mascara. I will confess, I have not worn these individual lashes for almost 5 years. I've mastered the strip eyelashes and those were all I was wearing. I even made a 3 minute video entitled "Quick and Easy Way to Apply False Eyelashes" to show how simple it was. But as you know, a beauty addict never throws anything away so all I had to do was go through my eyelash stash to find them. I was surprised that I had individual lash glue and even some adhesive remover in my stash. I didn't have to go out and buy anything. I have both short and medium individual eyelashes in my stash, but I decided to start out using the short. This is my before and after photos of the short. I really liked how they came out. I'm not wearing any mascara on the top, though I added some on my lower lashes to give my eyes a little more depth, but I don't have any on the top lashes. I did not apply them really heavy. I used 13 lashes on each eye which makes them appear a little more natural. 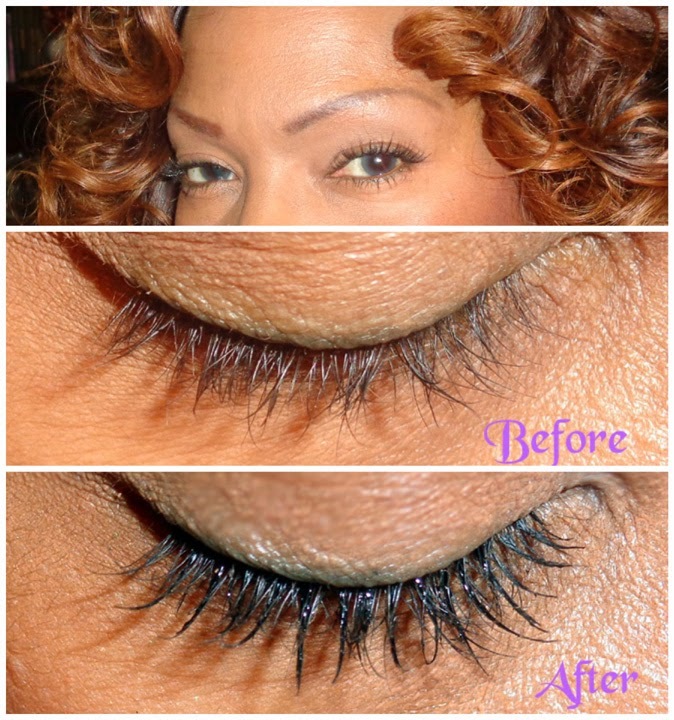 For this application I used the LaCharme eyelash adhesive. But as you can see in the photo I've also use some of the Ardell eyelash adhesive in the past. If the lashes don't fall out on their own, I have a tiny brush that I dip into the Lash Free adhesive remover and stroke across the lashes and let them sit. You never want to pull the lashes off because that would probably make your natural lashes fall out as well. With these individual lashes, you basically have to wait until they lift before removing them with your tweezers. Have you tried these individual eyelashes before? If so, what was your experience, did you like them?